The best weekend of my entire life! It’s an idyllic village nestled in an out-of-the-way corner along the north Atlantic coast. On this early spring evening, a group of about 15 people, ranging from teenagers to middle-aged, have just completed a weekend retreat. They are eagerly anticipating an upcoming missions trip to Central America. The weekend has proven to be pivotal in their preparation as they have spent two and a half days together, getting to know each other and being established in the message of the gospel. “I wanted to join the mission team to increase my faith in God. This weekend has done that for me.” This comes from Vicky, one of the teenaged participants who is typically very reticent about expressing herself in public. What made this weekend so special? For one thing, it was a great group of people. It was also a well-planned event. But the backbone of the weekend—and the highlight for everyone—was what they studied together: the gospel itself, from creation right through to the Cross. Evan is an elder in the church and one of the missions team leaders. He takes discipleship very seriously and to prepare for the upcoming missions trip, he wanted to do something special. He wanted to somehow give the group a comprehensive overview of the Bible—yes, in one weekend. A Google search brought him to GoodSeed’s website and he was drawn to the Worldview Rethink course with By This Name. He wanted something that “put the pieces of the puzzle together” and the course seemed to fit the bill perfectly. Evan also loved the modern look and feel of the materials. The missions team was a varied audience and By This Name would appeal to all. He decided they would go through the full curriculum at the retreat, fitting it into six consecutive sessions. But that does not mean the team did not rest and have fun. On the contrary, the schedule allowed for leisure, games, and even a movie night. Evan’s wife and some other team members’ spouses came in and prepared all the meals for them. This ended up being a great help and meant the team could focus more on the weekend. It was a very focused time. With over 15 hours worth of material to cover, there wasn’t much time left for group discussion or questions. At first, this seemed a little unfortunate to some of the participants. But by the time the weekend was done, everyone was glad they had moved through the course at the steady pace they had. It kept the continuity of the story moving along. One of the participants described the experience as “saturated with God.” It was like an immersive soak in the Bible’s message of redemption and salvation. The other thing about going “around the circle” with team members reading Scripture verses was that it kept everyone focused and engaged. They knew their turn to read would be coming soon, so they couldn’t afford to let their mind wander. Having two leaders, each reading in turn, kept it varied enough so that people did not get bored. It also helped to watch the included video clips in which John Cross, author of By This Name, explains key concepts using visual aids and video footage from Israel. Samuel also shared his experience in a debrief session. Already in his fifties, he said he had been attending church for much of his life and for the last five years had been trying to read the Bible to figure out what he believed and why. He said that it was this course that finally pulled all the pieces together for him. As Evan’s testimony reveals, this missions group retreat is just one outflow of what God is doing in this Atlantic village. The white steeple of their church has graced the horizon for almost two centuries. The congregation likes to recall the richness of their history but, most of all, rejoices that the passage of time has not erased their spiritual vitality. In an era of megachurches, 150 regular attendees may seem insignificant, but there are those who know better. 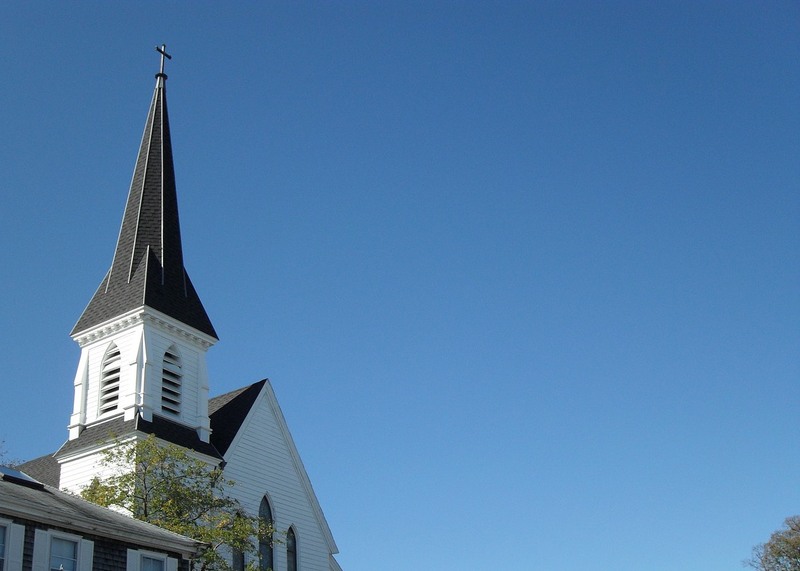 Statistically, the church should be dying—and the building relegated to a historical trust society for safekeeping. Instead, people keep coming and keep learning of the saving gospel of Jesus Christ. And then go out with that same gospel to share with the world outside—to Central America and beyond.